Over the last two years and a bit, India’s ODI top three has been among the best in the world. They have had issues, however, with Nos. 4, 5 and 6. 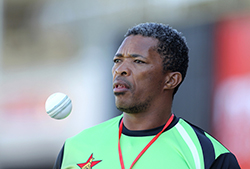 Addressing those issues must have been among the selectors’ primary concerns when they picked a largely experimental squad to tour Zimbabwe. Two-thirds of the way into the ODI series, India’s Nos. 4, 5 and 6 have faced one ball between them. One ball. Two matches down, the series already won, India have barely been tested. 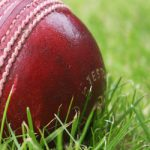 Their bowlers have enjoyed the conditions, which have offered a bit of swing and seam for the quicks and a bit of grip for the spinners, and have racked up sensational numbers. Of the five bowlers India have used, only Axar Patel (24.00) averages more than 20 in this series. But perhaps they have had it all too easy. No meaningful partnerships to stretch their patience or skillsets, no withering attack to quell, not one batsman building an innings and refusing to give his wicket away. The batsmen, needless to say, have had it even easier: they had to chase 169 in the first ODI and 127 in the second. 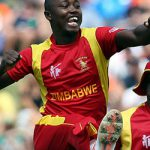 Zimbabwe aren’t a great side. This was known even before the series began. But they are better than their displays so far suggest. It will be in both sides’ interests if they actually show up on Wednesday, and play to their potential. The series cries out for a big top-order partnership from Zimbabwe, for a burst of wickets from their bowlers, for the crackling contest that isn’t beyond them. 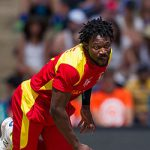 It isn’t his fault that he has bowled with woefully inadequate totals to defend, and, given those circumstances, Tendai Chatara has actually bowled pretty well so far. His pace isn’t yet up to the level it was at before he broke his shin last year, but he has hit the deck, straightened a few past the edge, picked up Zimbabwe’s only wicket in the first ODI and could have had one in the second game too, had he not overstepped. He will hope Zimbabwe either bowl first or put decent total on the board on Wednesday, giving him a chance to apply some sort of pressure on India’s batsmen. Craig Ervine injured his hamstring before the second ODI, and Sean Williams, who replaced him, injured his finger soon after the toss and was unable to bat. It is unclear if either will be available on Wednesday. Timycen Maruma could get a look-in if both are ruled out. 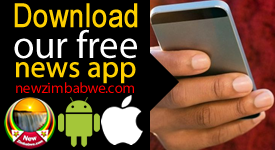 Zimbabwe already have a lengthy batting line-up, though, and might be tempted instead to pick an extra bowler – either a seamer in Donald Tiripano or Tawanda Mupariwa, or a spinner in Wellington Masakadza or Tendai Chisoro.